In case you missed the news, after over nine months of planning and work, the underwater naturalist and British artist Jason deCaires Taylor opened a new exhibit at the Fairmont Maldives Sirru Fen Fushi Resort located on the remote Shaviyani Atoll. Those sculptures, however, ended up being a problem. 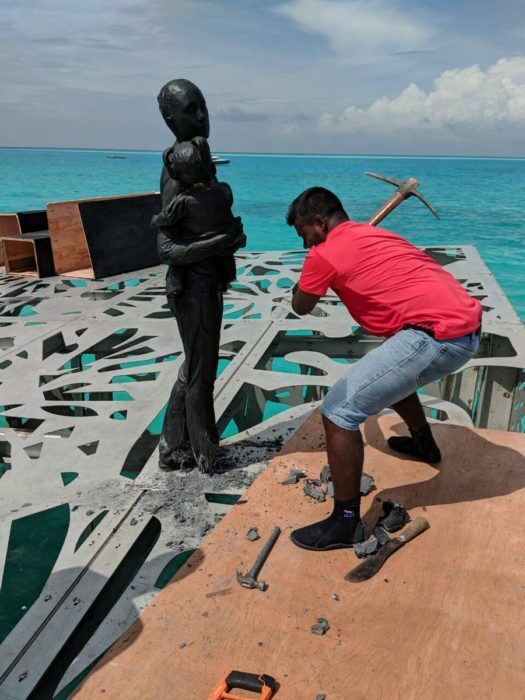 President Abdulla Yameen had ordered the sculptures removed shortly after the museum opened. He said there was “significant public sentiment against” them, and some Muslim leaders warned against “the sin of worshipping idols”. It was seen by many that the move by the now former president was more political than religious, a means to gain favor with those against western influence in the then-upcoming election. Police said the civil court had issued a ruling, 21 September, ordering the resort to take down the sculptures, saying the installation “undermines Islamic faith, peace, and order” in the country. The judgment ordered the police and the army to remove the human models if the resort failed to do so within five hours. The police reacted quickly on the court order and within a few hours, the “idols” had been destroyed. Videos of the destruction showed police cheering as each sculpture was torn down. The short notice to remove the items and the methods the police used has been criticized internationally. Social media, of course, reacted strongly on both sides. The Fairmont Maldives Sirru Fen Fushi Resort has held that they had all the proper permits and the concept with full disclosure of the statues had been properly made. Personally, I do not agree with the court ruling nor the short time frame to remove the artwork. I believe the court should have allowed time for the statues to be properly removed and then transported out of the country. That said, I also believe that the court has the right to act in accordance with their own laws without outside interference. 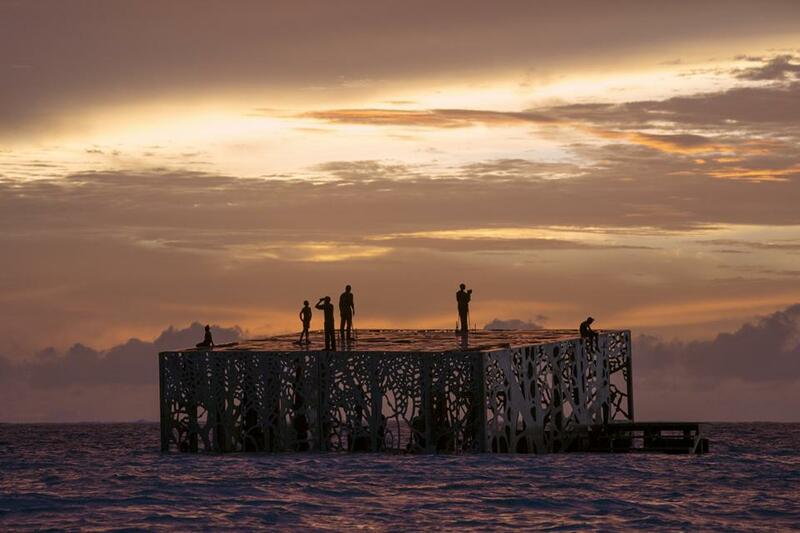 “While we are very surprised by the sudden removal of eco-art pieces by the authorities we respect the people, traditions, and customs of the Maldives. The removal process of the installed artwork was peaceful and friendly without interruption to our world famous service. Neither the resort nor the artist has made any additional comments since the initial press releases. We can only hope that new sculptures that meet local approval will be added shortly. While the connection between man and nature may be reduced without the human sculptures, the museum will still provide an important environmental lesson. Whether the sculptures are in a man’s image or something else, they will provide a focal point. 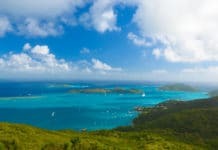 One that snorkelers and divers will enjoy underwater and others can view from the surface. 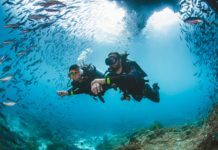 Anytime we can bring the wonders of the underwater world to others, we can increase their awareness of what we need to protect. The press releases and media coverage has shown that the basic structures are intact. One of the primary missions can still be accomplished. The items underwater and in the tidal areas will be just as welcoming to the marine life regardless of the shape. The coral transplants were not disturbed, so their benefits should still occur. Corals will grow and a new reef will also start to grow. The design of the structure will create a new habitat. One that will attract more marine life, which will, in turn, create more life. The news reports concerning the destruction of the Coralarium paint a picture that all was lost. The destruction of the human formed statues is a lost, but it does not mean that the Coralarium itself is a lost. While the gallery is awaiting a new exhibit, the marine life is still coming and browsing. Many will find the structure to their liking and the marine life population will explode. 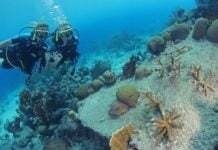 While the Coralarium was a major project, there are other projects also underway.